Swaddling is known to make babies feel safe like they are in the womb and helps them sleep better at night. 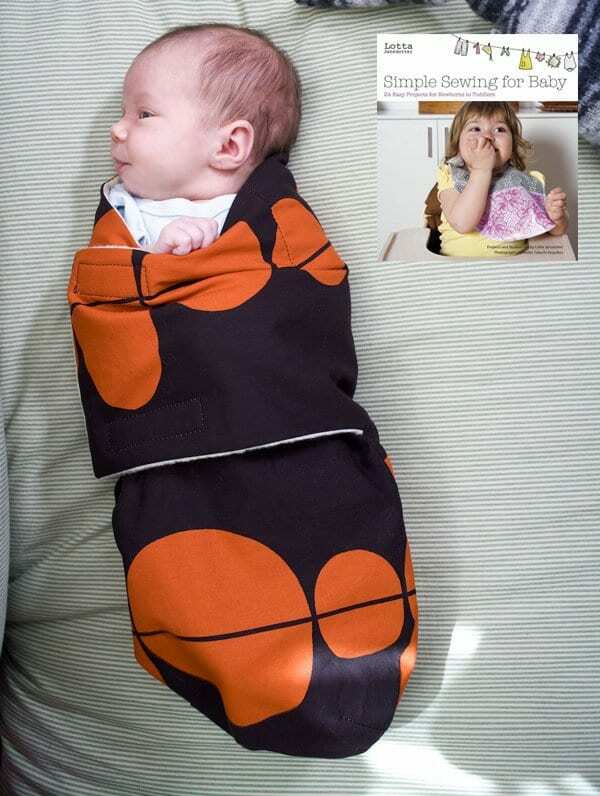 Make this baby swaddle for your baby. Check out this Baby Swaddle Pattern from So Sew Easy, too! I think I would ask the pediatrician what the reasoning is for this “new” advice. Now, oh my, that’s totally wrong! As for not restricting a babies hands, consider the papoose from Native Americans. I don’t think the swaddling is meant to be used 24/7, but rather a quieting method. Just a grandma’s point of view. Thought I should let you know that swaddling wraps are NOT recommended to new mums in the UK. Not sure about your country, but my daughter and daughter in law have been told to leave baby’s hands out of blankets/ bedding so they can move them, and to put baby in a cot or crib that is big enough for them to move around in. Even when a new baby is being carried in a sling the advice is not to keep baby restricted for longer than absolutely necessary.